Use entrepreneurial energy inside you organization to get work done–and get noticed. Traditionally, the roles of employee and entrepreneur represent two completely different professional archetypes, each with their own ideal skill set. For example, success for an employee is often measured by how well they take direction from superiors, act within the scope of their job responsibilities or function, and reinforce the mission, vision, or values of the organization. Success for entrepreneurs is typically determined by their ability to direct their own work and act without precedent, to expand and grow their job responsibilities and functions, and to envision and support a mission, vision, and set of values on their own. Another way to look at it is to think of the role of an employee as implementing the tactics of an organization–the individual actions that contribute to the success of the larger strategy. The role of an entrepreneur is to develop that larger strategy, and implement it themselves or oversee its implementation. From my experience in professional development and management consulting, I can tell you that the number one complaint organizations have about their employees is their inability to act tactically but think strategically–or, as above, to act like an employee but think like an entrepreneur. This requires being a follower and a leader simultaneously, and knowing which hat to wear when. Understandably, employees who can pull off this nuanced balancing act are a rarity–to the consternation of organizations that need this combination of tactical and strategic thought to keep innovating, setting new standards, and adapting themselves to economic conditions. The result is that employees who can meet the requirements of their job while also contributing to and improving the strategic leadership of their organization are worth their weight in gold to their employers. The entrepreneurial energy Steve harnessed to take ownership and solve a big issue in his organization yielded tangible dividends as well: he was promoted twice in his first year on the job and received an off-cycle bonus to reward his efforts. I learned a host of entrepreneurial skills after I left my nine-to-five to build my writing career in 2008–skills that were foreign to me as an employee, like market research and business management. But when I found myself working again as an employee several years later, I was able to harness those entrepreneurial skills to my–and my organization’s–advantage. The most important of these has been productivity. Not only did I find my productivity skills easily transferrable to from entrepreneurial endeavors to an employee situation, but I also found they did more to enhance my professional worth than the other skills I had learned. 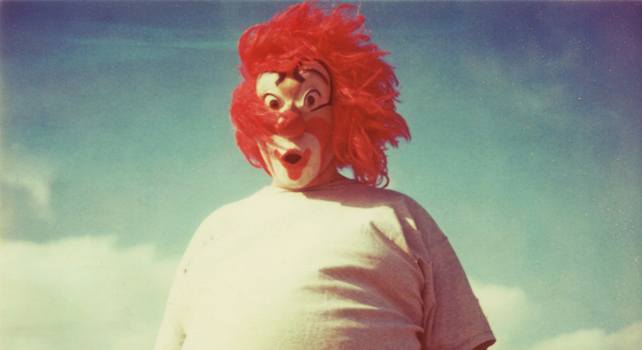 Productivity–real, self-driven productivity–was one of the first entrepreneurial skills I learned. It served me well when I was on my own, and it has served me even better as an employee because it requires a kind of organization and self-motivation that employees aren’t necessarily incentivized to cultivate. After all, if you are super productive, all you’ll get is more work to do, right? Yes, and in more than one sense. You may be assigned more responsibilities and tasks, but you will also likely be offered more opportunity in the organization…as long as you make sure someone notices the effort. Like the proverbial tree in the forest, if a man works 80 hours a week and no one sees him, does he still get a raise? (No.) This is why productivity, when combined with a great professional brand, is an awesome recipe for increasing your value within an organization. The point is to look at your job responsibilities and required skills from a place of ownership, initiative, and personal direction. Remember, it’s about strategy and tactics. 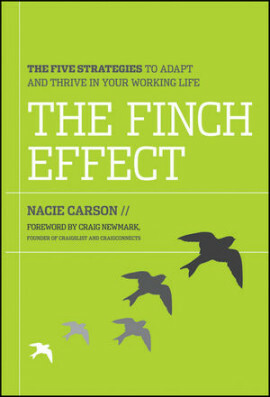 Reprinted by permission of the publisher, John Wiley & Sons, Inc. , from The Finch Effect: The Five Strategies to Adapt and Thrive in Your Working Life by Nacie Carson. Copyright (c) 2012 by John Wiley & Sons, Inc. All rights reserved. Follow the author on Twitter @NacieCarson and read her blog, The Life Uncommon.